"I thought we should share the secret of MD10 worldwide"
Originally I come from Japan but I have been living in the UK since 1995, in 2009 I had the opportunity to spend a month in Andalusia. I took the ferry from Portsmouth to Santander and drove south from there. During my stay I attended numerous dog shows around the region and met many interesting people and lots of dogs. During the stay, I was introduced to MD10 collection for the first time. At that time I did not have any knowledge regarding pet shampoo therefore I had not considered that there could be such a difference between the many products available on the market. 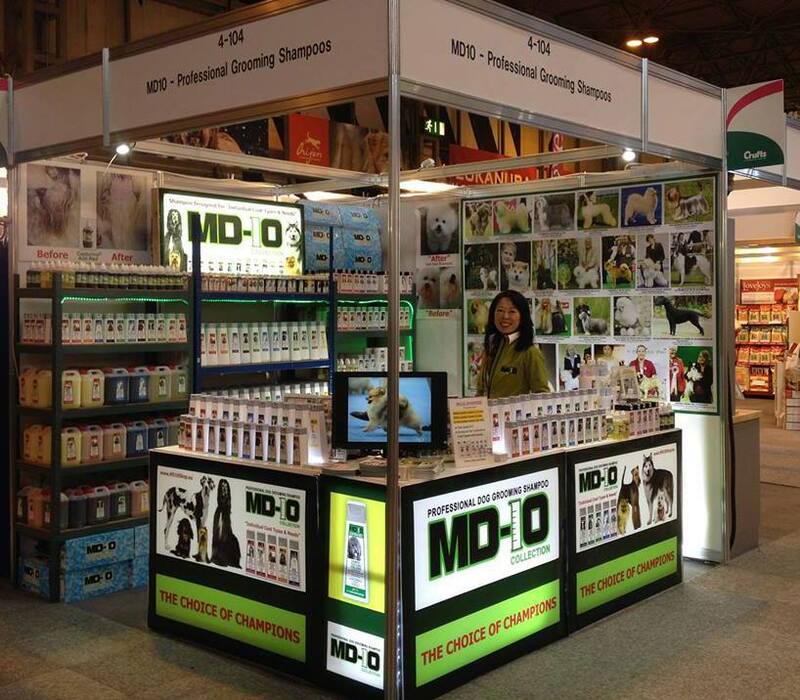 However, during my stay in Spain I met many people who spoke very highly of MD10 shampoo and conditioner including established breeders with champion show dogs and professional groomers. I then had the chance to use it myself and could appreciate and understand the comments that they had been making. The result on my dog's coat was very good, enhancing the volume and curl in his coat and the conditioner making him soft to the touch but without loosing its shape and texture. By the time my month in Andalusia was up I had met so many enthusiastic MD10 users I decided to bring the MD10 collection to the UK and other countries outside of Spain and Portugal. Through my personal experience I have seen how well MD10 products work, but if you have any feed back related to these products we are always very pleased to hear from you. Tomás is constantly looking at ways to improve and widen his range products, and your opinion is an invaluable driving force. I am always very happy to discuss any issues related to our products. I am currently living with my Spanish Water Dog and he uses MD10 Texture Shampoo. Crufts - I am proud to be there to meet my numerous clients!